Recently, nanocellulose has been used as a bio-polymer reinforcing agent. It is environment-friendly and has excellent performance owing to its unique nanostructure. However, during the drying and redispersion processes of nanocellulose, agglomeration of the nanocellulose occurs, which makes it difficult to store and transport. In this study, a nanocellulose drying system with an excellent redispersion rate and stability was prepared using fish-derived gelatin as a green, bio-polymer capping agent. The dispersion rate and stability of the nanocellulose, according to the ratio of gelatin and nanocellulose, were examined. After the dispersion, the removal of the gelatin was confirmed by FT-IR, TGA, and XRD. When 20% or more of the fish gelatin was added to the nanocellulose, the dried nanocellulose was redispersed within 30 min, and its stability was maintained for a long storage period. The gelatin was easily removed by washing with distilled water and filtrating, and the obtained nanocellulose recovered its original properties. 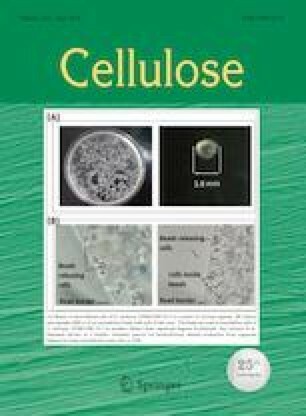 The results herein revealed that the hydrophilic gelatin prevented the agglomeration of the nanocellulose during dehydration, and its redispersibility was enhanced. 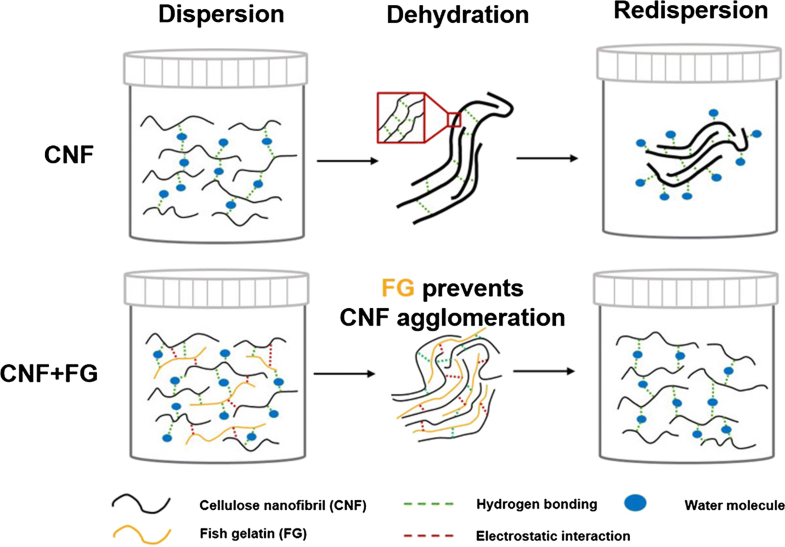 The drying method of the nanocellulose using the fish gelatin could contribute to the expansion of the nanocellulose applications by facilitating storage and transportation. The online version of this article ( https://doi.org/10.1007/s10570-019-02387-z) contains supplementary material, which is available to authorized users. This research was a part of the project titled ‘Performance improvement of Biodegradable fishing net and standardization’, funded by the Ministry of Oceans and Fisheries, Korea. This work was supported by a grant from the National Institute of Fisheries Science (R2019036). This study was also supported by a Basic Science Research Program through the National Research Foundation of Korea (NRF) funded by the Ministry of Education (NRF-2016R1A6A3A03008834).